THIS IS NOT a comprehensive list of pictures. This page shows only those decent pictures not shown on the master pages at East Coast Destination Guide. 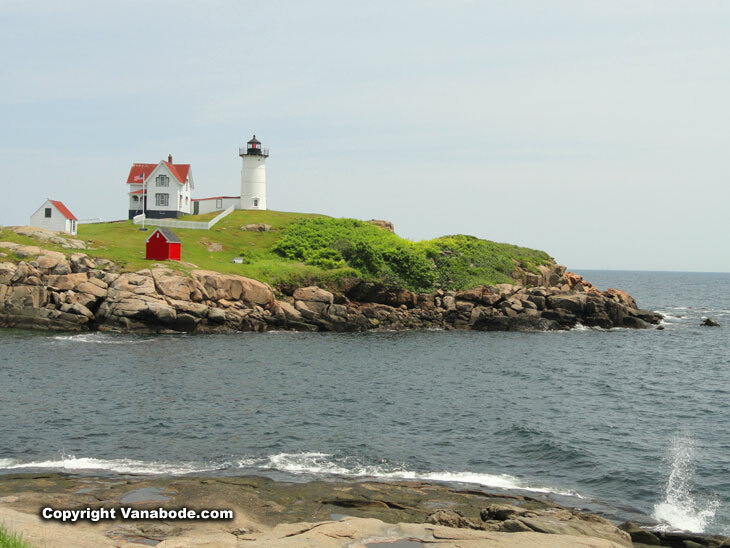 Nubble lighthouse in Maine on a rugged coastal little island like spit of land. 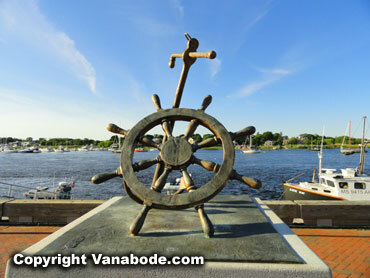 Above: Newburyport art in Massachusetts coastal regions. 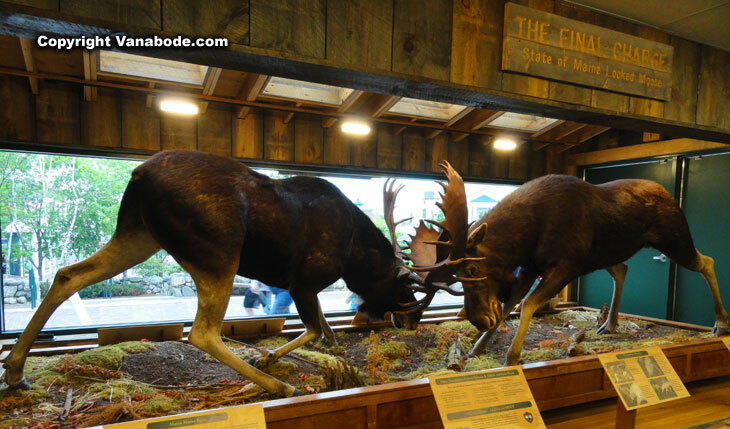 Above: Kittery Trading post in Maine showcases the moose and other animals. 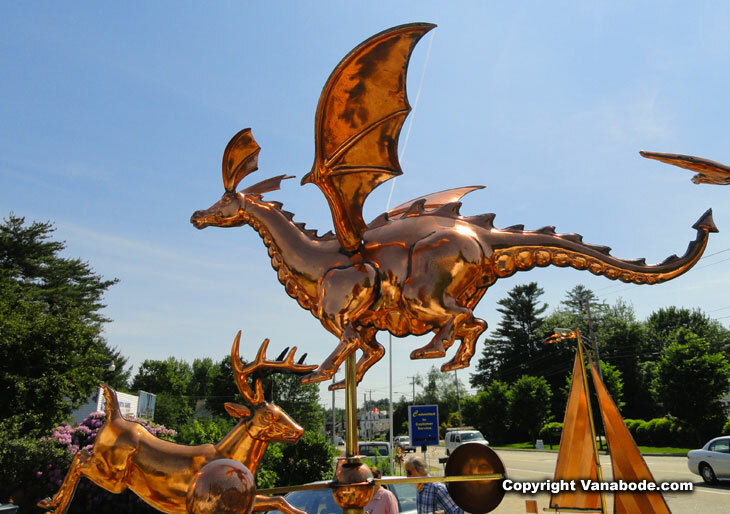 On our way through York, Ogunquit, Kennebunkport, and Old Orchard Beach we saw these extraordinary and very expensive wind vanes made of polished brass I think? 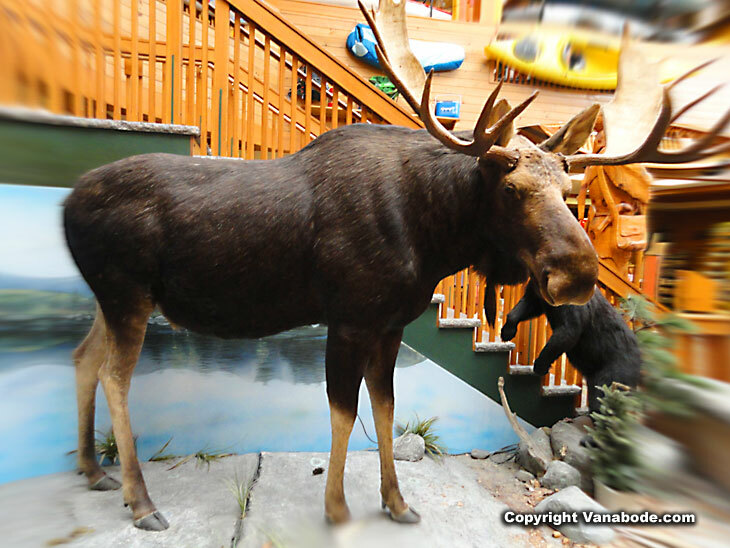 Moose locked in Maine at LL Bean store. 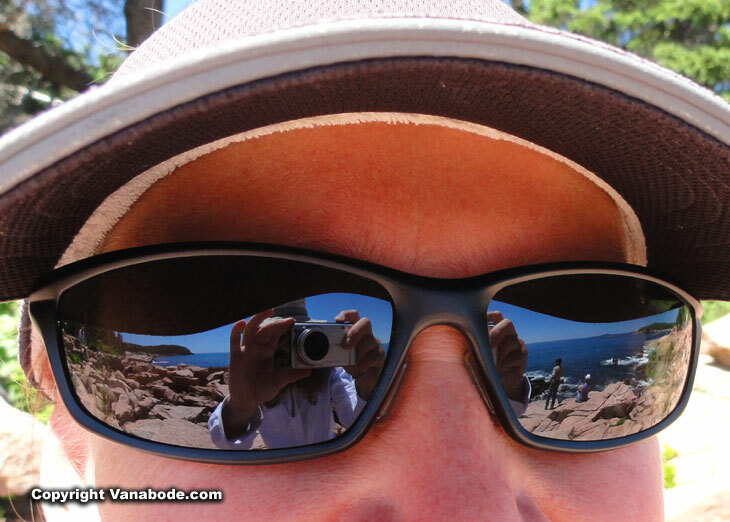 Acadia National Park near Bar Harbor reflects in my woman's plastic eyes. 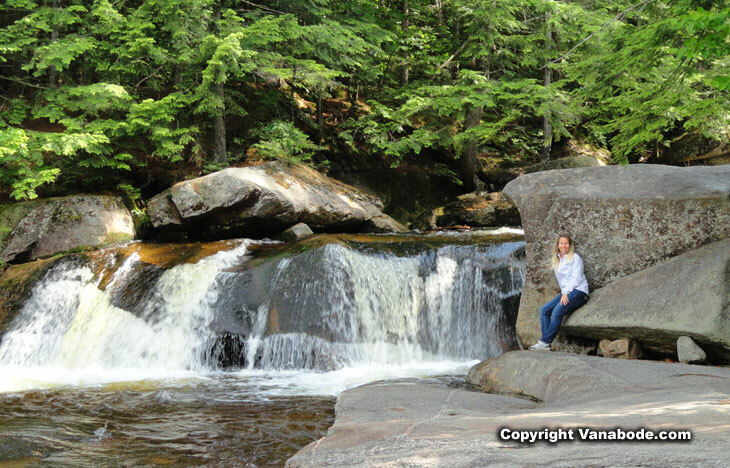 Kelly at some white mountains waterfalls on the east coast. 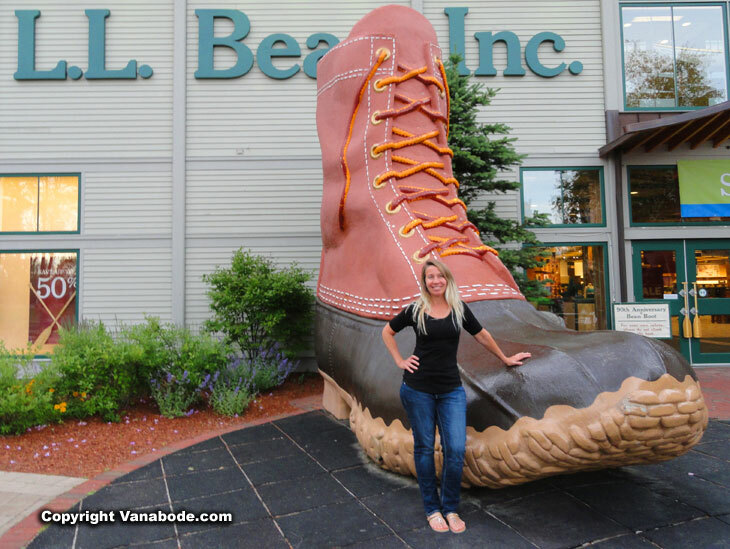 I love my wife's big... . . . . . shoe. 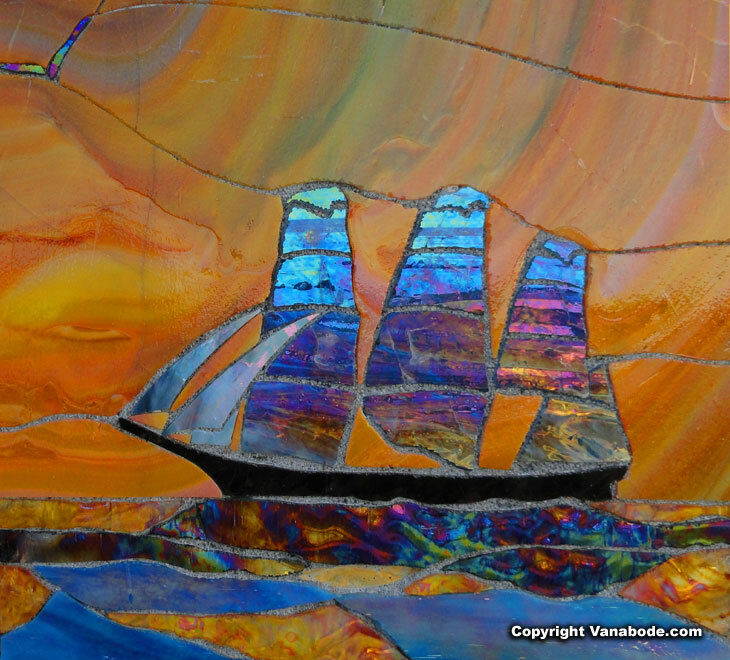 Fishing lures including this incredible work of art life like dragonfly are custom made and then sold in the LL Bean store in Maine. 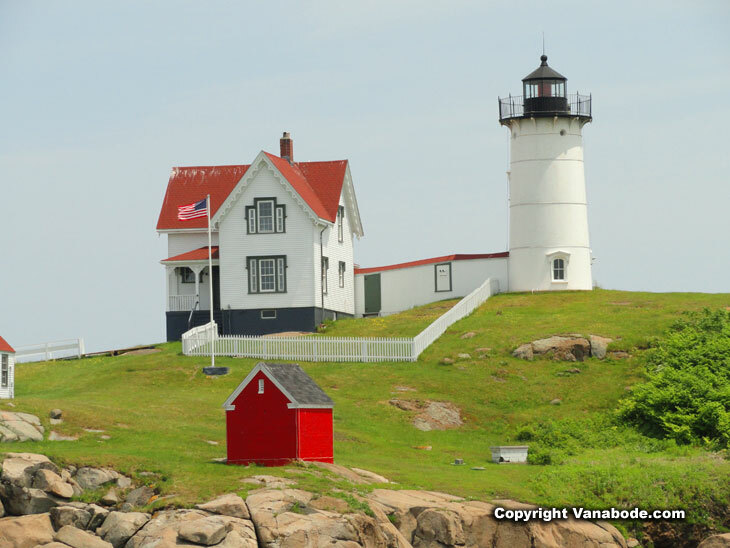 York Maine's Nubble lighthouse on a sunny day in the last months of our 2014 road trip.